Come See Us At The Book Bash! Today’s brew: There’s some sort of Christmas Cookie martini thing that’s going to be at the book bash tomorrow. If you come, you can have one too. Tomorrow is Julie and I’s very first book signing together! 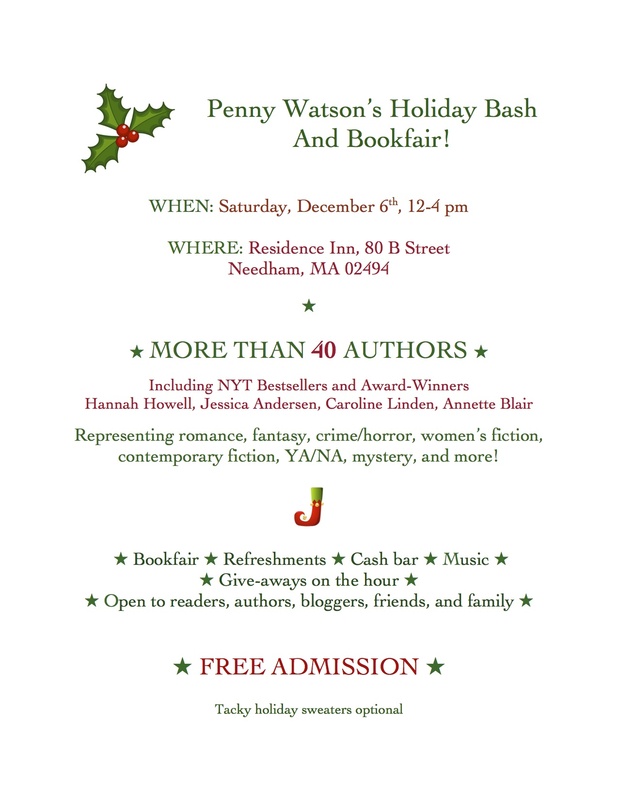 Come see us and 40 other authors in Needham, MA. Admission is free. There’s a cash bar, so you know that’s going to make everything one hundred percent more entertaining. I made my infamous drunken peppermint brownies. There will be a raffle for some awesome prizes, and oh yeah, books for sale! If you’re not sure it’s us, I’ll be the one with the ombre hair that fades to bright pink. Julie will be in the tutu. So basically, everything you ever expected.